With heartfelt sadness we recognize the end of a life - greatly lived and greatly loved. 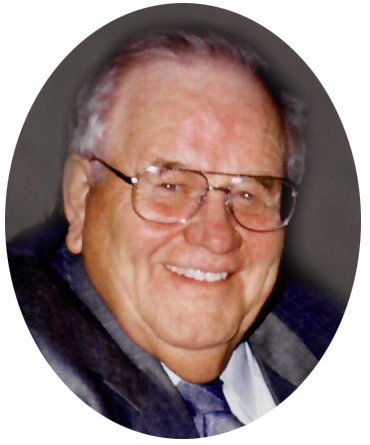 Walter Thomson passed away suddenly at the age of 95 years in Saskatoon, SK. Walter leaves behind the love of his life, Grace Morris with whom he spent 68 wonderful years. They had five children: Blair (Shannon), Grant (Elizabeth), Rhona (Larry), Darren and Lindsay (predeceased). He will be dearly remembered by his 19 grandchildren and nine great-grandchildren. Walter was born in his family home near Keene, ON in a family of four sisters and a surviving brother, Tom Thomson. He left Peterborough and came west as a young man and developed a love of farming that was with him to the end. He married Grace on April 29, 1950 and settled in the Milden area. He was known to love dancing, a good game of crib, and having family around him. He and Grace eventually retired to Rosetown. He was a cherished husband, loved father, great brother and a wonderful grampa. We will miss him so.